Two things came to my mind when the color (scarlet) was revealed. I could only think of the movie Scarlet Letter and an actress named Scarlet Johanssen. In other words, I did not know what color is scarlet. I only knew that it's in the reds or oranges, but I could not be too sure. I had to consult a color chart to distinguish whether scarlet is a red or an orange. The biggest realization I had is that scarlet is an in between of a red and an orange. To make my life easier, I started to think of red-orange. Viola! It worked coz' I found a daisy which is a scarlet color. 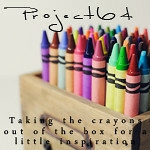 Be sure to blog hop at Project 64: Out of the Box and check out for more scarlet finds. I love daisies! I think you definitely got scarlet here! We enjoy you participation each week and look forward to your work! I kept thinking Scarlet Letter too! Love your scarlet flower find. Those are one of my favorite flowers!! 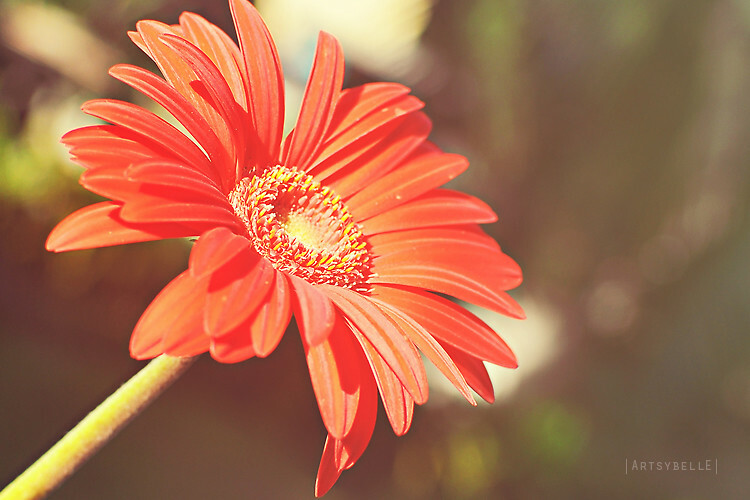 I love Gerbera Daisies. This is so pretty. Lovely capture of scarlet here for sure. Lovely Gerber daisy. It screams of summer and warmer days. We've gone from 80 to 40 in 3 days here. Yuck.